To read his work is to encounter a classical Chinese lyricism rich with mysterious juxtapositions of the immediate and the imagined. 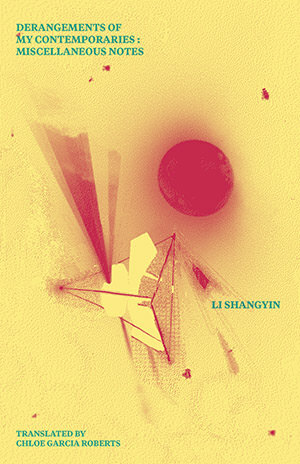 Ranging from the humorous and scathing to the evocative and strange, this ninthcentury collection of list poems by the late Tang dynasty poet Li Shangyin documents one poet’s scrutiny of his riotous times. Li gives a glimpse into the mundane experiences of the waning years of Chinese poetry’s golden age, while providing an uncanny reflection of the minutiae of our own contemporary lives, loves, and irritations. Besieged by a drunk person, no escape. Beautiful concubine, jealous wife.